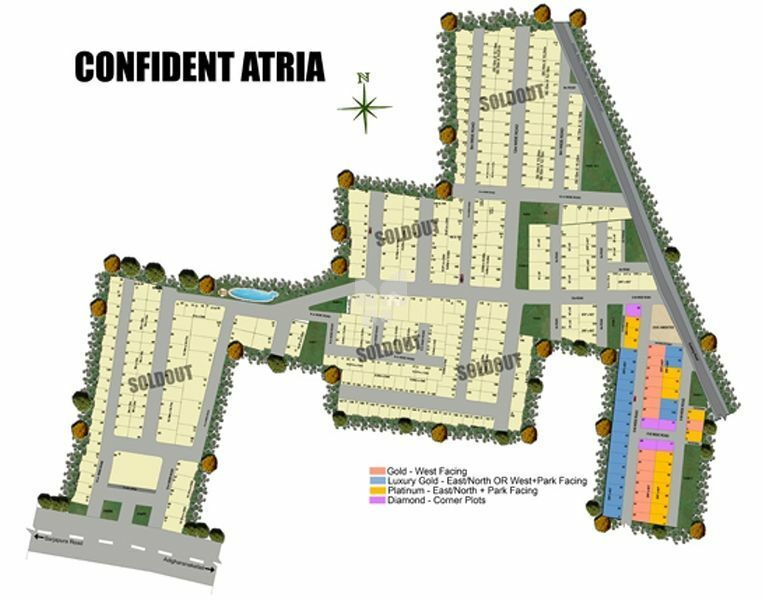 How Far is Confident Atria Phase I to VII? Confident Atria Phase I to VII of this prestigious project is developed over 11,05,335 sq. ft.(25 acres) of prime land on the Main NH 207 road leading to Sarjapur (Location Map). The project is located between Electronic city and Whitefield.